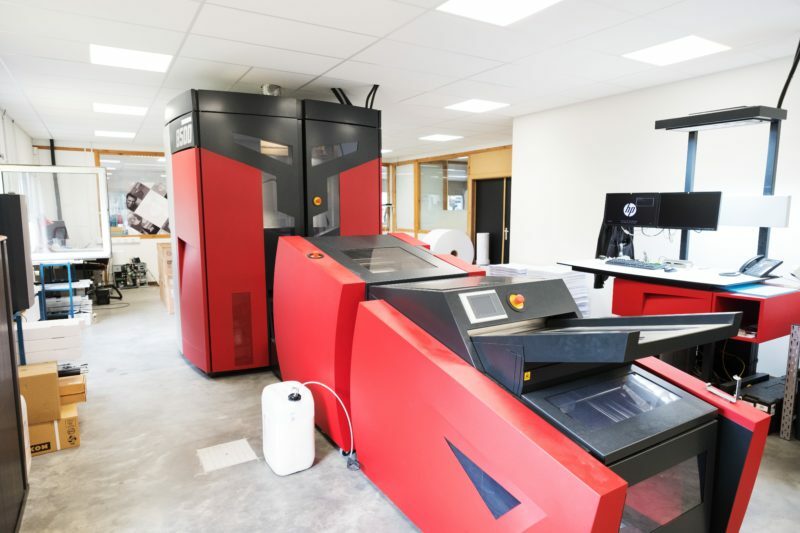 Belgium digital print service provider Colorisprint is celebrating this year its 20th year in operation, supported throughout by Xeikon technology including a Xeikon 8500. Founded in 1998, Colorisprint’s first digital press was an Agfa Chromapress 320 with a Xeikon OEM engine. That year it also invested in a large format plotter. In 2003, it bought a Dicopress 500 with a Xeikon OEM engine followed, in 2006 by its first flatbed printer. In 2011, the company renewed this flatbed printer and acquired a Zünd cutting system. Four years later, Colorisprint completed its flatbed portfolio with a second system. The multifunctional Xeikon 8500 web-fed commercial press joined the press hall in 2017. This year Colorisprint also added large format UV gel technology to its existing line up of large format UV printers. Today, the operation has a staff of 23 employees, supporting B2B clientele including advertising agencies and graphic designers mainly in Belgium, France and the Grand Duchy of Luxembourg. It also offers a trade service to offset and digital printers. “We pride ourselves on delivering high quality prints, a wide range of media, flexible solutions and personalized service” states Manuel Léonard, Colorisprint’s owner. The Xeikon 8500 delivers true 1200 dpi printing quality, handles a print media width of 320 – 512 mm (12,6” x 20,2”) and an imaging width up to 504 mm (19.8”). The entry level system can produce a variety of applications such as brochures, posters, leaflets, packaging, small mailings, and is great for shorter runs and meeting tight deadlines.